I hope it's okay if I create one here? In the heart of Michael... FOREVER!!! MICHAEL, I LOVE YOU SO MUCH... BECAUSE YOU EVOKE THE BEST IN ME. Good night sweetheart See you in my dreams! @ Ashtanga: I love that 'pillow fight' smiley so cute! 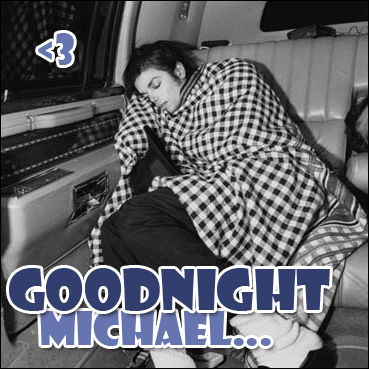 Good night Michael, been a beautiful day! Stole this Ash, hope you don't mind it's just so adorable! You and I were never separate. I had to choose between honest arrogance and hypocritical humility. I chose honest arrogance and have seen no occasion to change. This thread is wonderful !!! I had a really long and tough day :"( you know how much I miss you..
please help me sleep better..!